Ho ! Ho ! Ho ! , Christmas Just around the corner and Guess what . 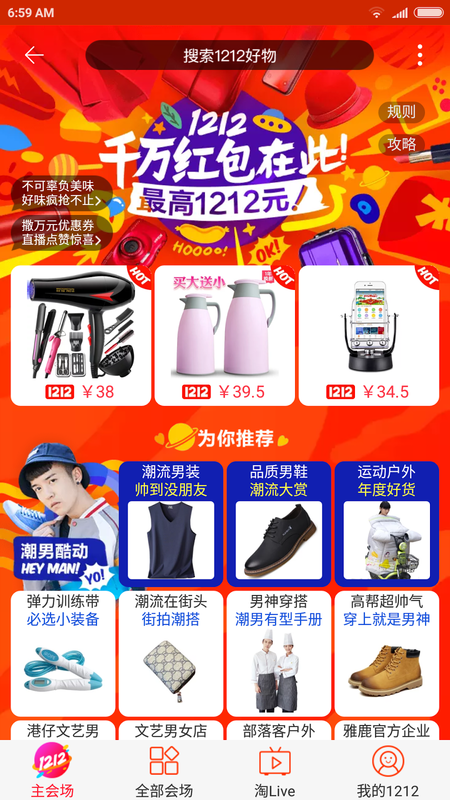 Taobao Alibaba Brought Malaysian with a huge Online Super deal Surprise that Started from 10th to 12th December , Proudly Present Double twelve (12.12) Double happiness . Hand itchy to click , click and click with pocket getting hurts again . Now you can Click where ever you are by downloading the Taobao APPs Here . Explore and click whatever you want at anywhere and it was so convenience . During This three days roadshow from 10th – 12th December 2017 that held at MyTOWN Shopping Centre Cheras , Get Yourself there while Hundreds of prizes , giveaways and fun-filled activities awaiting you at Tmall World’s “Double 12 Secret Santa Box” . “Gift Catcher Interactive Game” where consumers stand a chance to win treats and goodies by just downloading the Taobao Mobile app at the event or if you’re lucky , walk away with a “Lucky Secret Santa Box” when you visit with friends and family , which takes place at 1.30pm and 3.30pm daily . 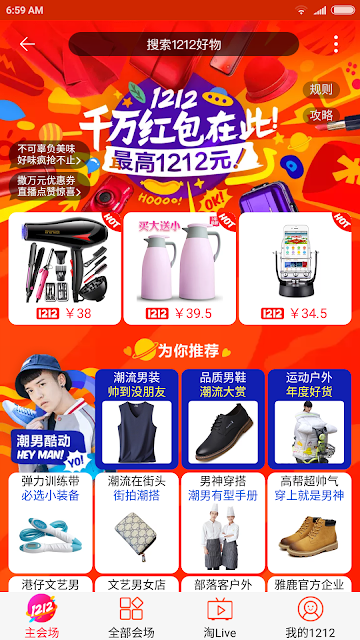 12.12 will be a huge massive day to all the shoppers with shock offers , The World No.1 leading Online shopping Taobao Alibaba’s also getting mega 24-hour sale event featuring millions of products with special discounts available only on mobile Taobao apps on 12 December 2017 . The launching has invited social fashion icon and influencer , Jane Chuck . Hitzfm Radio announcer and YouTuber , Jinnyboy . Local Singer from Red People , Michiyo Ho . Social media influencer , Miko Wong and Miss Astro Chinese International Pageant 2016 & Miss Chinese International 2017’s 1st Runner Up , Serene Lim,in attendance during the opening ceremony today . “Double 12”, or more commonly known as “12.12” was first introduced in 2012 by Alibaba . The holiday sales event will run from midnight on 12 December 2017 for 24 hours . Malaysians are in for a treat this year with a wide range of products when fashion and accessories to home and living products go at unbeatable prices and discounts on Taobao and Tmall marketplaces . Cashback offers: Shoppers who pay by Malaysia E-banking will enjoy RM20 cashback with minimum spend of RM200 on Taobao . Sea Freight promotion : Spend RMB199 and get an instant deduction of RMB20 on sea freight charges . Win exclusive Secret Santa Boxes with a host of goodies from Taobao & Tmall with purchase of RM12 through the Mobile Taobao app . The Sale Promotion came just in time , Feel awesome for me to get Christmas gift for all my lovely Friends and Family . I can feel that my Christmas party will be much more happening ever or maybe I'm gonna be the Santa claus , Hahaha . So , start choosing up your gifts , shop from the 10th – 12th December 2017 with Tmall World this 12.12 ! 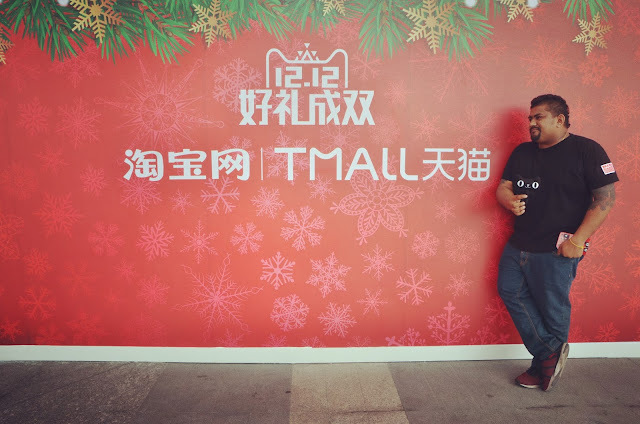 To find out more about 12.12 promotional offers and participate in the Tmall World Double 12 celebration , kindly visit https://world.taobao.com And download the Mobile Taobao app .